Enter to win prizes moms will love including trips, jewelry, flowers, and more. 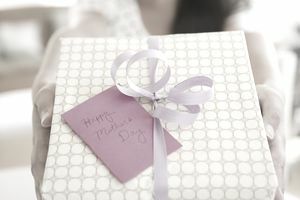 Every year, Mother's Day and Father's Day Sweepstakes give away prizes intended to delight moms and dads. Would you like to win a prize to thank your parents for their love and dedication raising you? Then you're in the right place. Enter to win spa vacations, jewelry, tools, fashion, and other prizes that would make perfect gifts. Or perhaps you are a mother or a father that would love to win one of these great gifts for yourself. Nominate an extraordinary mom and she could win a trip for four to New York City for a breakfast in bed experience on GMA! Enter for your chance to win prizes to delight moms including sweets and, in most cases, gift cards to retailers like Merry Maids, Amazon, Walmart, and more. Get the chance to win a six-night getaway for two people to the Amalfi Coast of Italy. Win cash that you can use to treat Mom to something special for entering this giveaway.